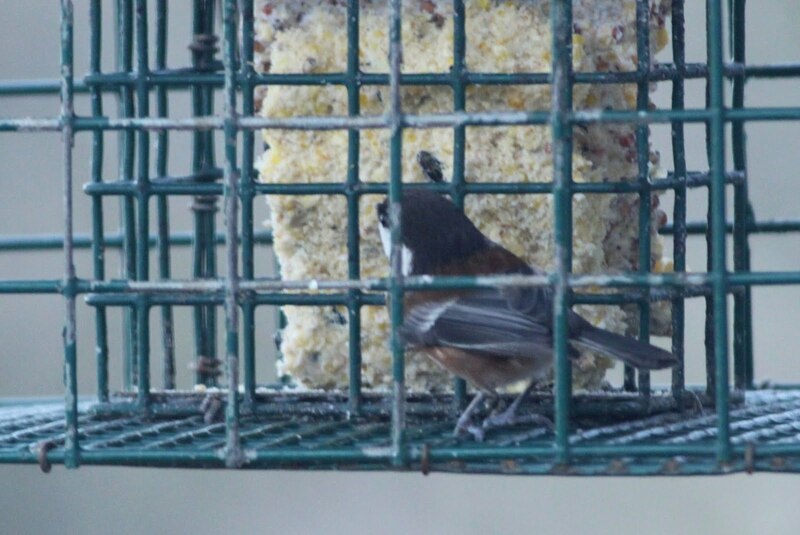 The cold and snowy winter we've experienced has made it tough on resident birds to find food and water. The really cold days and nights are especially hard on them. We've done our part by keeping the seed and suet feeders filled. 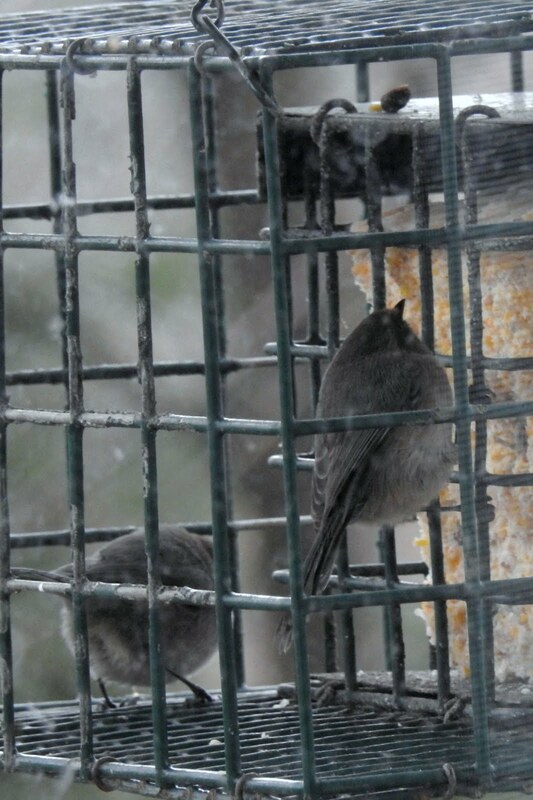 I've also been diligent about bringing in the hummingbird feeder most nights so the liquid didn't freeze. Our reward has been a really nice variety of species. This blog details some of the regulars seen in the third week of January. An upcoming February post will have even variety. The first species seen on the 22nd was a small flock of Bushtits at the suet feeder. It's hard to get good shots as you can't get too close and the window at the time was quite dirty. More on that in the February post. 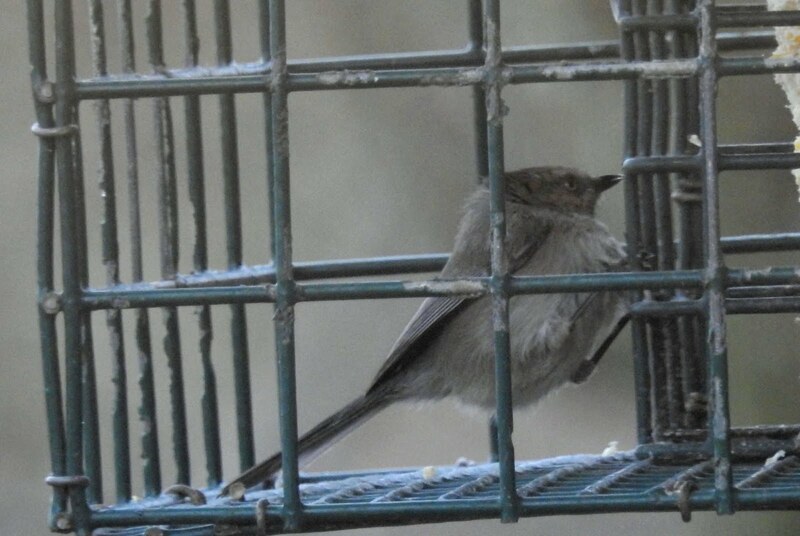 Bushtits always travel in numbers, perhaps because they are so small. There were only 4 or 5 in this flock. 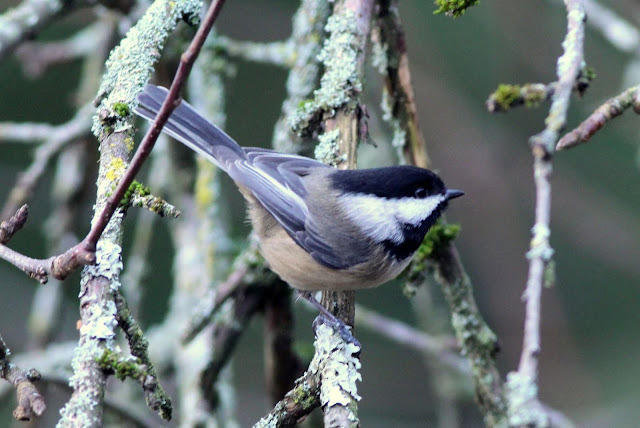 Our most common bird seen year round is the Black-capped Chickadee. Although I have no way to identify them, it's possible this bird has been with us for years. This was taken about 2 minutes later, I think it's a different bird. 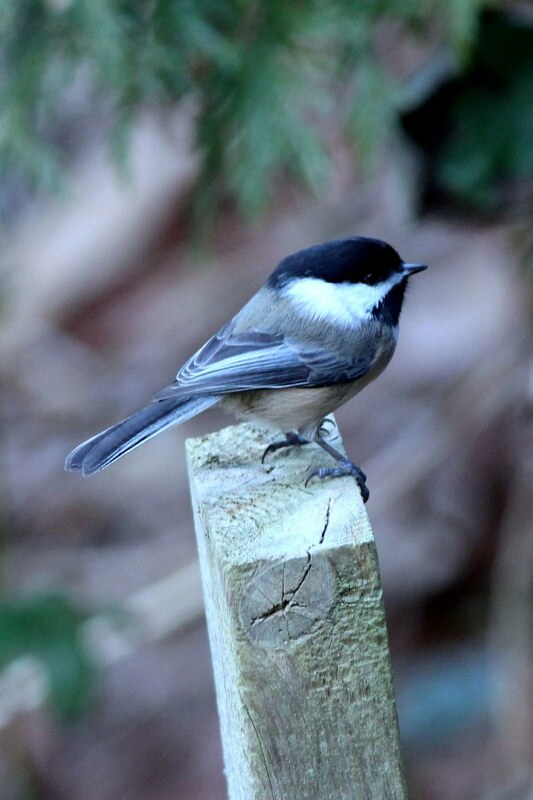 We have another Chickadee species in the yard. I don't see it too frequently but I got lucky and got one photo of it. This is a western only species, mostly seen along the Pacific Coast. 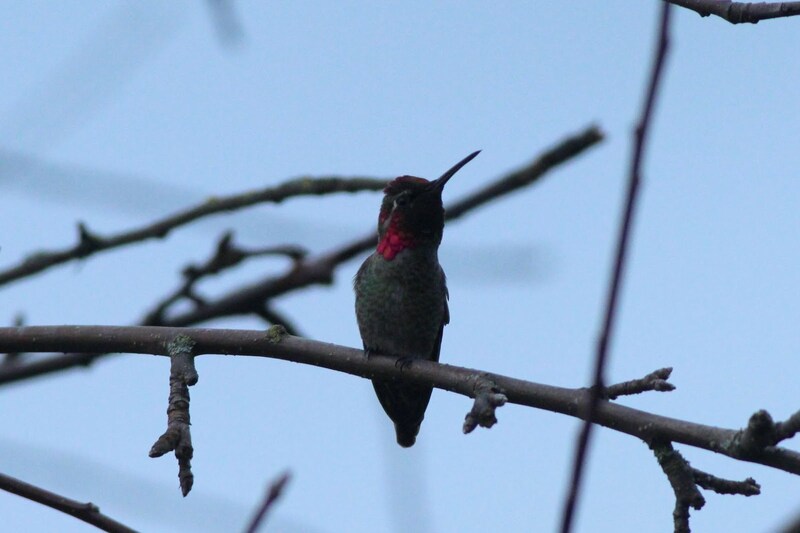 Finally, here's our resident male Anna's hummingbird. I got buzzed a few times when I put the feeder out too late for it's liking. That's gratitude for you. That's all I got from the backyard in January, more to come in a future post.